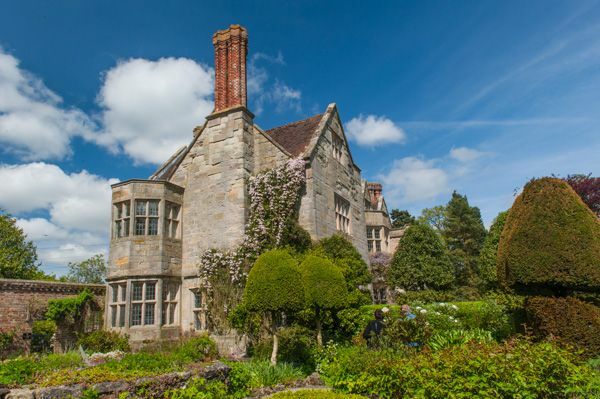 Benthall Hall is a beautiful Elizabethan house with lavishly decorated interiors. There is some dispute over when exactly the house was built - some sources claim 1535, but a more likely date is around 1583, which is much more in line with the style of the house. 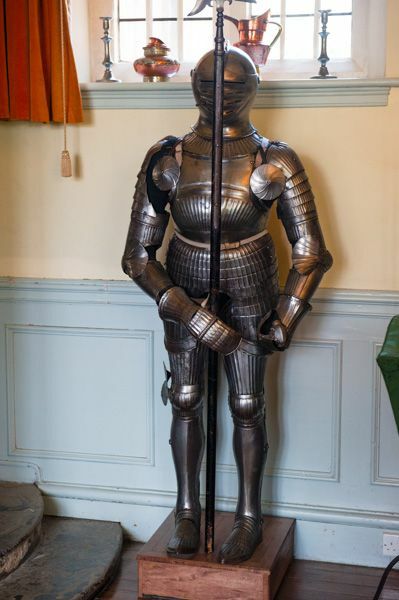 We should be grateful that the owners of Benthall were staunch Catholics and supported the Jacobean cause; as a result of the severe penalties incurred by recusant Catholics, they were financially unable to renovate the house with the changing tides of fashion. As a result, Benthall is blessedly unchanged from its late Elizabethan roots. A reminder of the Benthall family's religious leanings are five marks on the two-storey entrance porch; these marks were a secret symbol esentially meaning 'priest's welcome here'. The first known owner was Anfrid de Benetala, who lived around 1100. 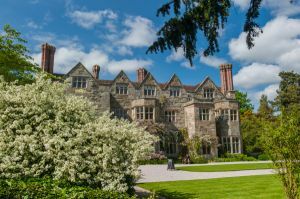 Over time the family named changed but their residence at Benthall Hall did not. One of the more interesting early owners was John Benthall, who in 1296 decided to become a monk. He retreated to a monastery and left the property to his son Philip. 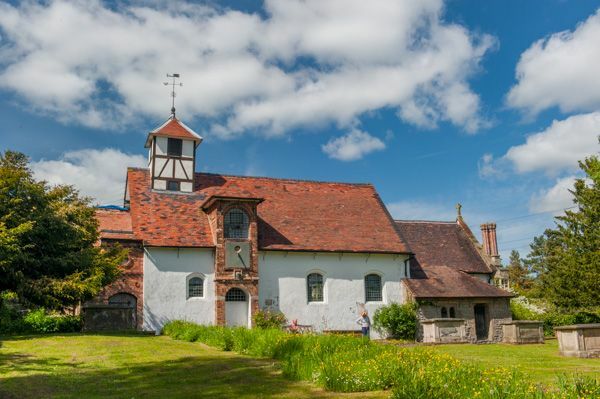 The builder of the house we see today was probably Lawrence Benthall, who around 1580 built the manor on the site of an earlier medieval house. The Hall was captured by Parliament during the Civil War, and local tradition suggests that the soldiers burned the nearby village to the ground. The family sold the house in 1844 but then bought it back several generations later, before passing it to the National Trust on condition that the family continue to live here. Benthall Hall stands high on a hill above Ironbridge Gorge and the famous 18th century Iron Bridge built by Abraham Darby. 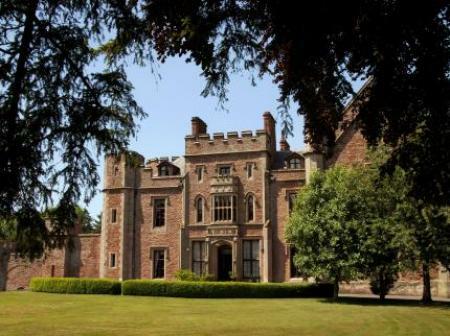 It is built of brick and sandstone, and stands three stories high including attic chambers, with a large projecting wing and two double-storey bow windows. 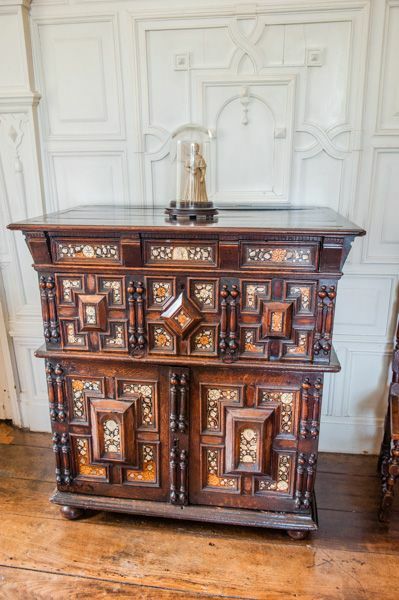 The exterior is beautifully Elizabethan in style, but the interior is where Benthall Hall really shines; the oak staircase is a marvel, built in 1618 and magnificently carved with wyverns and leopards, symbols of the Benthall and Cassy families. Upstairs is a drawing room with a richly decorated plasterwork ceiling and lavish panelling. 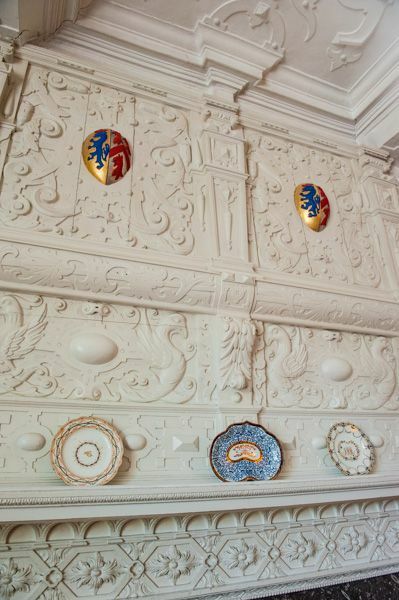 In the hall is a Jacobean fireplace with more wyvern and leopard symbols. Over the porch is a small priest's chamber, a reminder of those dangerous days when the Benthall's remained true to their faith and harboured visiting priests. In the floor is a small compartment, presumably for hiding sacred vessels if danger threatened. The house is surrounded by a restored period garden separated into a plantsman's garden and a kitchen garden area. On the path to the front of the hall is the parish church of St Bartholomew, dating to around 1667. There are lovely woodland walks in the park surrounding the house. Benthall is one of the friendliest houses I've ever had the pleasure of visiting. The guides were simply wonderful, full of stories about the house, the owners, and the objects within the house. I found the gardens particularly interesting, especially the beautiful formal area immediately beside the house, with stone paths and a lovely water feature. 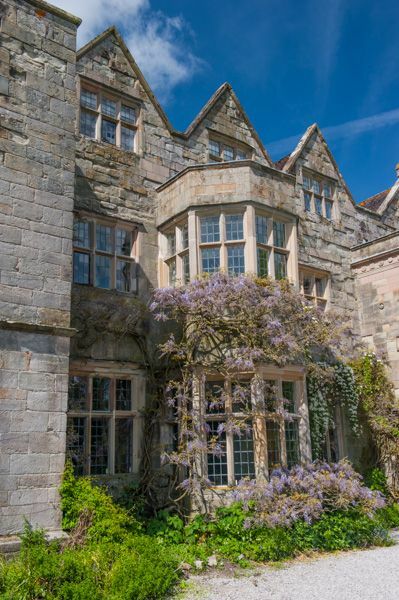 In summer this area is lush with colour, perfectly setting off the stone Hall beyond. Benthall is one of the most picturesque and fascinating Elizabethan houses I've visited in England. Location: Seasonal opening. On site parking. 1 mile north-west of Broseley (B4375).